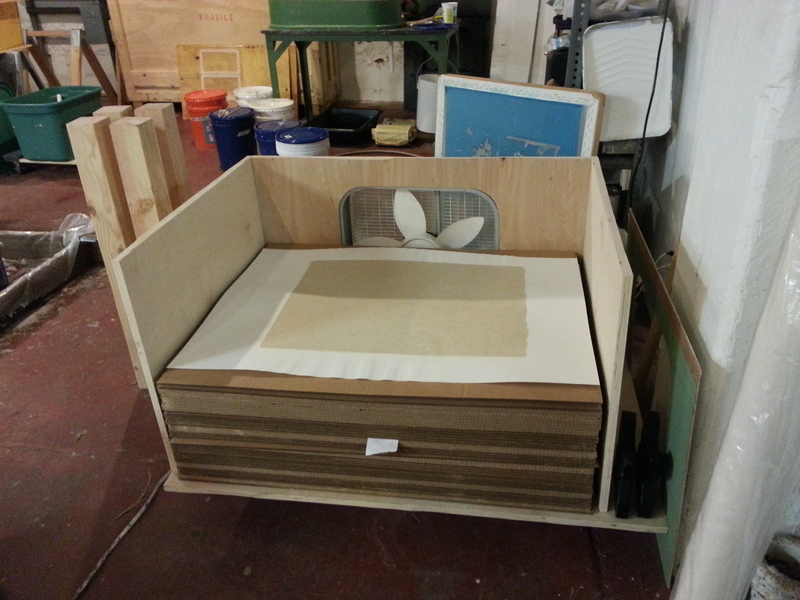 paperTHINKtank is now a fully equipped papermaking studio! Since 2013, we have worked towards acquiring and equipping the studio, and it is pretty darn amazing that all of the “wish list” items are now here! There are of course still materials that are needed or could be improved, so if you have lovingly used equipment for in-kind donation or are looking to sell good equipment for a reasonable price, please scroll down for contact information. Our 1 lb. 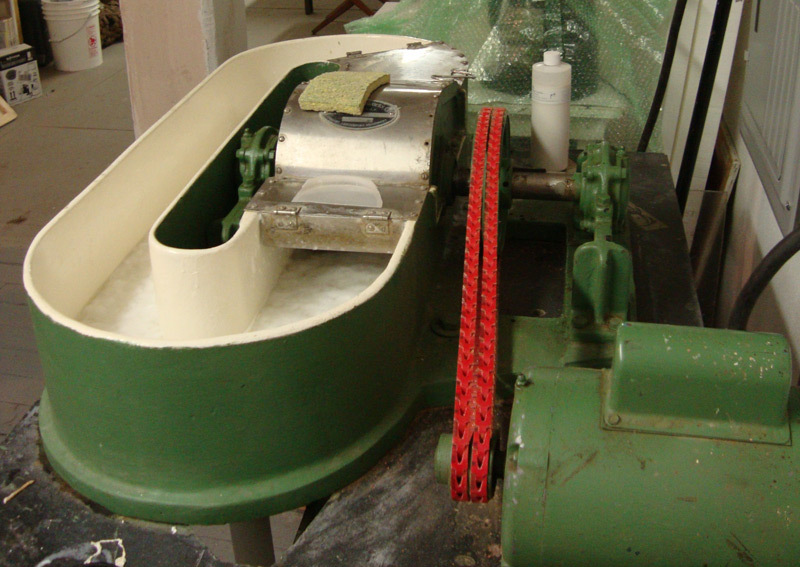 Valley Beater macerates the RAW FIBER with water to make PAPER PULP. Beating times vary from 30 min (for a light cotton paper) to 6-8 hours (for a finely beaten pulp that produces translucent or sculptural results, as with abaca or flax). with enormous THANKS to Carol Cole! The VAT contains the PAPER PULP and extra water. MOULDS & DECKLES are used to scoop the PULP from the VAT to create each sheet of paper individually, shaking front to back and side to side in Western sheetforming. At the COUCHING STATION, freshly made sheets of paper are turned out onto FELTS. Sheets of FELT, or synthetic felt called PELLON, are interleaved between the wet sheets of PAPER to absorb excess water. The PAPER PRESS is crucial to making strong and durable sheets of paper. 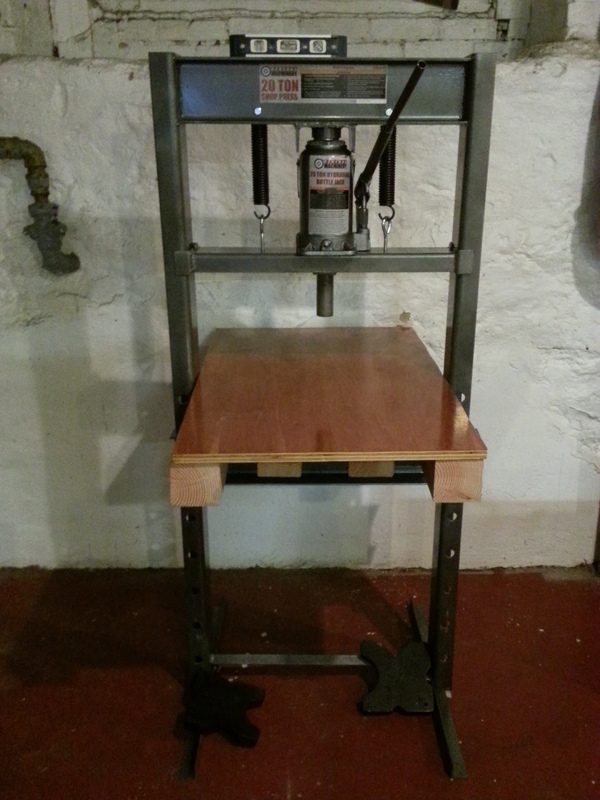 By customizing the frame of a hydraulic press with bottle jack, a wet paper press can press a post of up to 50 sheets of wet paper at once. The DRYING STACK is where wet papers are placed after they have been PRESSED. Interleaved between blotting papers and cardboard, even weight / pressure is applied to the top of the stack and PAPER dries smoothly and strongly in just over 24 hours.